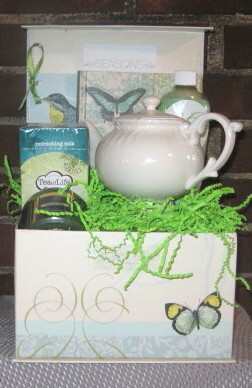 "Tea & Sympathy" is the just right gift for those occasions when a card or flowers is not quite the sentiment. 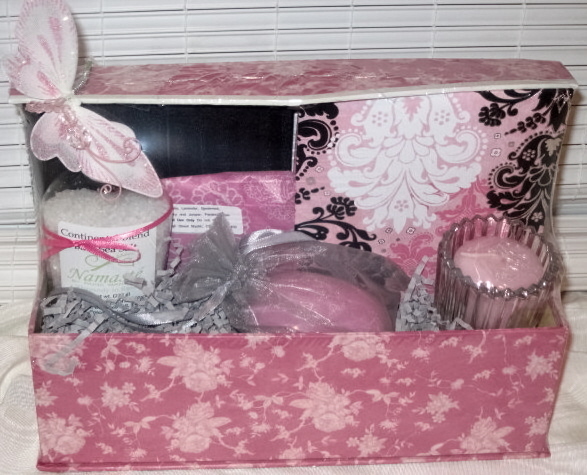 You want the recipient to know that your concern goes beyond the moment to the months ahead. 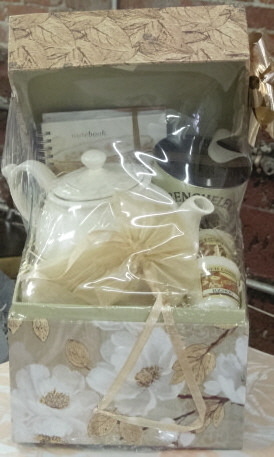 These elegant baskets are packed with warm thoughts and useful gifts for the bereaved. 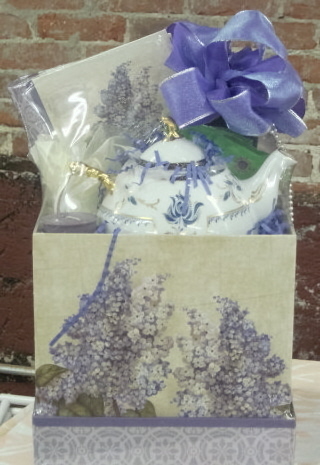 A thoughtful gift in the moment or to give even months after the loss of a loved one. 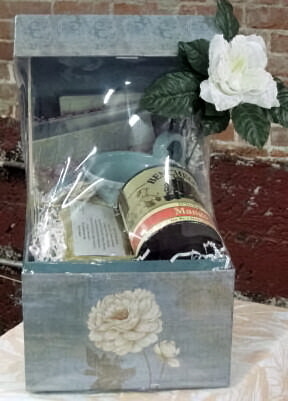 Filled with items to nurture the spirit, reflect on the life lived and comfort the mourner. They are available beginning at $34.50. Value and quality. "It was if the designer channeled me. It was so exclusively filled with items I would have selected. And it was an expression of both sympathy and hope. A most heartwarming expression from my friends".